Africa: beautiful, serene …… and dangerous. I received “The Palaver Tree” by Wendy Unsworth in exchange for an honest review. It is probably one of the books submitted to me for a review that I was looking forward to the most. The subject matter of charity work and life in Africa is right up my alley. I have often toyed with the idea myself, I was 14 when Band Aid was founded and have always had a soft spot for Africa. I have also had several short and long trips to Africa to take even more of an interest. I found the description of the continent and life there very close to my own experiences and felt immediately at home in the book, too. The story follows several women, some in the UK and some in Africa, and their connections with each other. Each of them has their own personal background which Wendy Unsworth builds up carefully and with great detail during the first part of the book when we have an idea but no a definite indication where the story is going – other than Africa of course. We jump from one character to the next as each story unfolds, which takes some time to get used to. However, given the way the lives of the women are connected I could not suggest a better way of handling the plot. The time put into the establishment of the four women really pays off later when the plot accelerates. Fortunately I soon managed to settle into the flow and got drawn into the story completely.I don’t want to spoil the experience for you by giving too much of the plot away. The school that is subject to the charity work and its student run into a lot of problems, from funding and political troubles to personal dramas of both the students and the teachers. The writing is smooth and easy flowing, the story is less linear or predictable than my review might suggest and the descriptions of the landscape and life in Africa are beautiful and precious. It’s probably a bit of a cliché but I have to say that I have always written. I know that is the kind of answer that is heard a lot, and not just about writing, but I suspect it’s because it’s true. For me, writing has always been part of my life. As a child I loved to write stories and plays. I have been lucky to travel and keeping a journal is a natural and essential part of that experience. Writing a full-length novel has been a life-long ambition, one I am so thrilled to have finally achieved. And what does someone who has always written do when they finally realise the dream of completing a novel, why, of course, they start all over again! 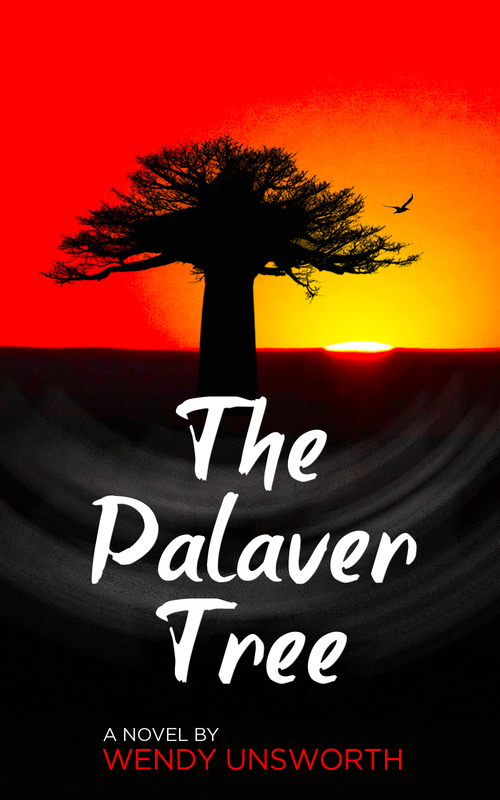 I have a connection and a special interest in the subject matter of The Palaver Tree. My favourite fiction involves ordinary people who find themselves in extraordinary situations. I am curious to explore how different characters cope and react and how experiences change their lives. The book is set partly in Africa. I lived in East and Central Africa for thirteen years. That part of my life has left a lasting influence; fond memories, great respect and quite a lot of sadness too. The story has been ‘gelling’ in my head for about five years. For The Palaver Tree I drew on personal experience to a large extent. I also did research online. Comfortable. But research must be meticulous. I have two trusted editors. They are experienced, kind, but also tough and honest. There have been many; I have always loved books. I suppose it would have started with Richmal Crompton and Anthony Buckeridge, Enid Blyton and Carolyn Keene. John Le Carre, William Boyd, Charles Dickens, John Wyndham, Stephen King; lately Karen Maitland, Sarah Waters, Katherine Webb. Ahh! This requires some serious wishful thinking, especially as there are quite a few strong characters in The Palaver Tree. Jennifer Connelly would play my lead female character, Ellie Hathaway. Ellie is a gentle person but has reserves of strength that she can call upon when she really needs them. Sophie Okonedo would play Promise. Promise is tall and graceful, a native of the Central Republic of Ducana. She has seen plenty of personal tragedy and is left as ‘mother’ to her younger sister. Carey Mulligan would play Tiffany Harris. Tiffany is young, naive, trusting. Determined to escape the life her mother has been condemned to. Billie Piper would play Pax; colourful, brash, fun loving, determined in her work to help and defend women in the dusty African town of Limba where she runs her clinic. Ralph Feinnes would play Gabriel Cole; Headmaster, charity worker, tireless do-gooder with a darker agenda of his own. Paul Bettany would play Marc Van der Rooyen; Game lodge owner, wildlife enthusiast, in love with Ellie. Christoph, many thanks for featuring The Palaver Tree and for your very kind review. Your support is greatly appreciated; especially coming from someone whose own work is so highly regarded. Thank you for giving time, (which none of us has enough of!) to fellow authors. You are a shining example to the writing community! I think you will love this book, Paulette. It ha such a warm and caring feel to it. Enjoy!